Ten children are stolen from their parents while at a summer camp and genetically altered. They have become part human and part something else, each with extraordinary capabilities. These new abilities cause them to become freaks in a society that is being altered by the geneticist who made them – Oscar Zoroaster, the self proclaimed Wizard of Oz. His technological prowess is far beyond standard science and he deploys it on an unsuspecting populace causing worldwide chaos. This evil genius wants to reshape the world using a computer virus called EPITOMY and will stop at nothing to achieve his goals. Johnny, a young boy and his father find themselves thrust into this world of espionage and technology that stretch their imaginations to the limit. Johnny meets Tinker, one of the ten children, and together they forge ahead in the hope of survival. Unknown to anyone, Oscar has created a subprogram within the virus, the Oz Immortality Sequence. In the event of death – reanimation takes effect. Can it be stopped, or has Oz unleashed a technological mammoth that will bring the world to its knees? The Oz books were originally written for children, but became classics for all ages, eventually being made into several unforgettable movies. “The Wizard of Oz” movie of 1939 went on to become one of the most watched movies in cinematic history. If you are a fan of L. Frank Baum’s books, or even if you’ve never read them before, this new novel with its compelling characters and their camaraderie, seemingly impossible obstacles and exciting fates will keep you captivated in this uncommon fantasy world. Keep checking for future updates on this forthcoming novel! 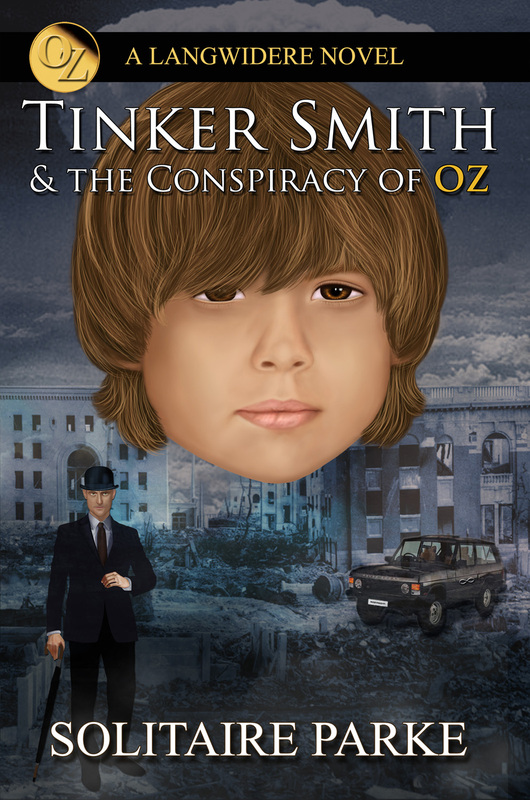 Well it’s eminent; “Tinker Smith & the Conspiracy of OZ” is finished…sort of. As usual when the author says it’s done, it’s not actually done. However, the editing and proofreading is going well and the principle parties tell me…SOON! I am also told by the artist who is doing the cover that it will be finished at roughly the same time as the editing. Go team go!! I haven’t actually seen the cover yet, although I have seen the artist’s first rendering of the lead character, Tinker Smith, and I thought it was awesome! The bank of proof readers all had the same question…Who the heck is Oscar Zoroaster?! I’m sure that some of you out there already know the answer to this. If you do, please just bare with me. Oscar Zoroaster was a snake oil salesman from Omaha, Nebraska. Through a series of misadventures, that he claims was no fault of his own, somehow magically made his way to the land of “OZ”. After he had made his way to the Emerald City, he performed the single greatest con act of his career…as you’ve probably already guessed; he convinced them he was a wizard. Now the real question here is…is Oscar Zoroaster a good guy or a bad guy? In the movie “The Wizard of OZ,” you really kinda have to wonder about this guy. After a couple of failed attempts at getting Dorothy and her friends killed, he finally and begrudgingly gives all of them what they apparently already had. In the novel, “Tinker Smith & the Conspiracy of OZ,” I have painted Oscar Zoroaster as not only a bad person, but the ultimate, the oober-criminal. It seemed like the logical thing to do at the time. Now imagine Oscar as the world’s greatest geneticist with a real need to bring OZ to earth. Well there ya have it! As I mentioned in a previous blog, I once again designed all of the lead characters to mirror my family and friends. More on that later. The first character I’m idealizing on, a genetically altered little boy fresh out of Oscar’s nightmares sets the stage for act one of this “OZ” odyssey. 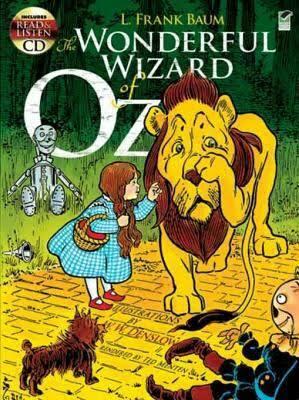 I’m hoping that other people out there in the hinter lands loved L. Frank Baum’s “OZ” books as much as I did. If nothing else, it’s one heck of a lot of fun! I have to go now; they’re expecting me in the Emerald City…an interview with the Scarecrow. You understand.